Home•Manufacturing. It’s brilliant, isn’t it? Manufacturing. It’s brilliant, isn’t it? It’s so brilliant, in fact, that large numbers of us make a living from it, working in and for businesses that make anything and everything from crisps to cars. Dan Burrows from Waterstons shares his thoughts on the human factor of Industry 4.0 and why the future will bring more interesting and more exciting opportunities for us. Manufacturing isn’t just about taking some raw materials or components and putting them together to make more than the sum of the parts. It’s about striving for excellence; constant evolution in process; development, design and improvement of products; and it’s about responsibly and sustainably creating the things we all can’t do without (even though half of the time we probably should do without them!). Manufacturing, above all, is also about people. It’s the human parts of the machines that really make the factories work. It’s about the people who procure materials, who plan production, who design the products and develop the manufacturing process. It’s about the people who market, sell and look after the products, and it’s about the visionaries who spot a need and ask themselves the question, “what can I do to fill that gap? What can I build to satisfy that need”. The latter are the ones who drive the creation of new manufacturing businesses and create the demand for factories. They bring jobs to tens, hundreds, or even thousands of people. We really can’t do without them. In my last piece, I spoke about the impending doom that so many see as befalling the manufacturing sector, brought about by the advent of new technologies and capabilities wrapped up under the Industry 4.0 banner; and I talked about how these new ways of working don’t have to mean the end of manufacturing and the jobs it supports. 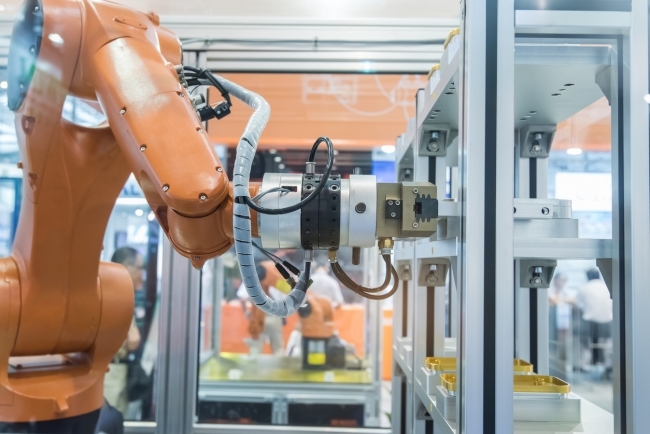 So, manufacturing IS brilliant – because of people; but can it get ‘even more brilliant-er’ in the new world of automation, data driven manufacturing, robotics, fully integrated production and management systems and the virtual environment? Of course it can; or at least, that’s what I believe. In real terms, we’re not going to change overnight, so the people I mentioned above can sleep easily in their beds for a while yet. But we ARE going to change, so those people will, as I said in my previous article, need to change with us. Change doesn’t mean they’ll be any less important, though; and it won’t make them any less brilliant or less useful to manufacturers. The visionary will still spot the gap. They’ll still identify the need and seek to fill it. Outside of manufacturing, there will be construction projects for new factories, and the people designing the production environment will still be critically important to those projects’ success. But what about inside the factory? 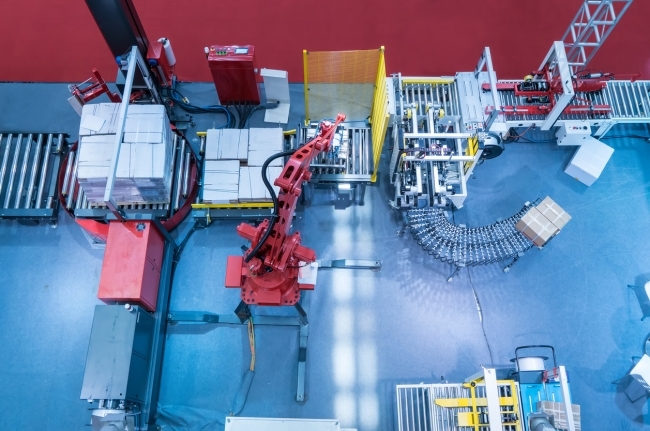 Will the Industry 4.0 production line still be as brilliant? Of course it will – in my opinion. For me, what makes manufacturing so fascinating and vibrant, what keeps me interested for hour after hour working in factories, is watching simple things (whether flour, sheet metal, chemicals, or whatever) be turned into more complex things. It’s watching the process, watching the individual activities on the production line, and often the highly choreographed way those activities are built upon, one-by-one, to bring a product together. Honestly, it doesn’t matter whether that’s inside a highly automated machine or on a bench with a skilled operator manipulating the product by hand – it’s the process that’s the exciting bit. Sure, Industry 4.0 will bring changes to process to make it more efficient and to reduce its cost. Yes, Industry 4.0 will automate previously manual processes with ‘black boxes’ of functionality that we may literally not be able to see inside. Regardless, we’ll still be able to see the material go in and the product come out, and a little bit of mystery won’t make things less enjoyable to watch. We all know the magician isn’t really sawing that audience member in half, but the fact that we don’t quite know how they’re making it look that way keeps us watching, doesn’t it? In an Industry 4.0 world, there will also be new things to make manufacturing that bit more exciting. The perfectly timed, exacting movements of a robot performing a task hundreds of times a day never gets old. The idea of attending design meetings wearing VR/AR goggles and reviewing products in the virtual world has its own appeal too, leaving aside any efficiency and cost saving elements introduced by the technology. Even analysing data to monitor and improve quality or identify process improvements can be exciting. So apart from the people I talked about in my last piece, what about others? Those marketeers I mentioned earlier, for example. What about them? Well, let’s be honest, marketing is hard; or at least it can be – ask anyone who worked for Gerald Ratner how easy it was to convince people to buy their ‘total crap’ decanters. That didn’t end well. A new generation of factories making a new generation of products using new evolutions in technology to new levels of quality has got to make the marketing department’s job easier, hasn’t it? And the production planners… sure, a sequencing system can help, but there’s still going to be those people in the background making sure that the sequence actually works in the real world, using their experience and expertise to keep an eye on the systems. So once again, I want to make it absolutely clear that I don’t believe Industry 4.0 is anything to be scared of. It’s not the end of the world as we know it. Far from it, in my opinion it presents the most exciting challenge and potential outcomes that we have seen in the sector for a very long time. Manufacturing in a new Industry 4.0 enabled way does not present only risk – it presents opportunities to make manufacturing more interesting and more exciting to a whole new generation; which is really well aligned with addressing another issue in the sector – attracting new talent. Over the last decade, we’ve talked a lot about the skills shortage, and one of the overriding themes has always been discussing how we can make factories and the work that goes on within them more attractive to young people. How do we encourage today’s schoolchildren and graduates to consider a career in manufacturing? One of the barriers often cited is the perception held by many of them that factories are dark, dirty, noisy, smelly places where boiler-suited operators hit things with hammers. Now, we all know that’s not true, but how do we change that view in our potential new workforce? If we can build Industry 4.0 factories that capture the imagination of the hard-to-reach ‘PlayStation Generation’, then we can attract bright new minds into the manufacturing environment; bringing new ideas, new visions, and new approaches to making things. They’ll be attracted by the high-tech nature of the game; robots, computerised control and management, real-time data collection, analytics, and the like. They’ll also be fascinated by the clean, slick, seamless way those black boxes I talked about process raw materials into finished goods – they might not even care about what’s going on inside them. They’ll be drawn to the high-quality, highly configurable or customisable products, and they’ll spread the word of their exciting new world using social media – and that engagement on a more personal and social level may well be the way we finally solve the skills shortage. So manufacturing IS brilliant. And it’ll STAY brilliant. As I’ve written in my previous articles, the future isn’t something to be scared of. If Industry 4.0 pans out as well as it can, then I suggest we all welcome the change, and let’s keep on innovating, keep the passion, and start looking forward to Industry 5.0, shall we?